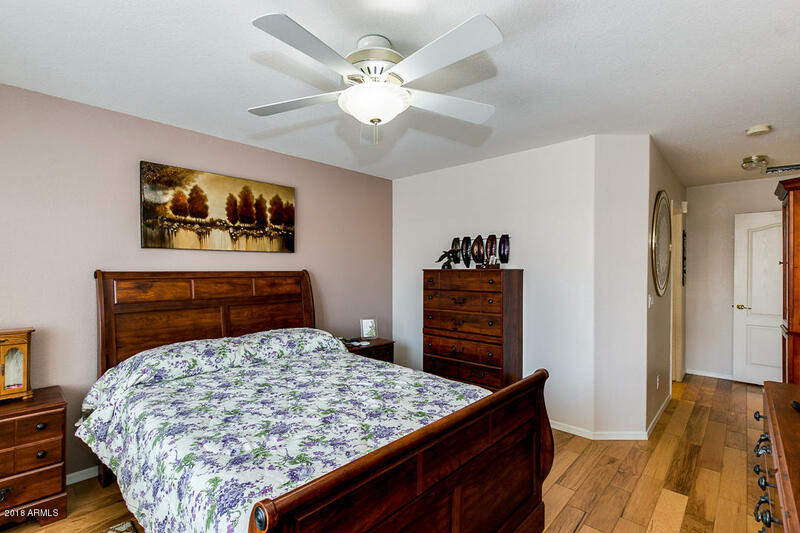 Popular, Retreat floor plan with split bedrooms. 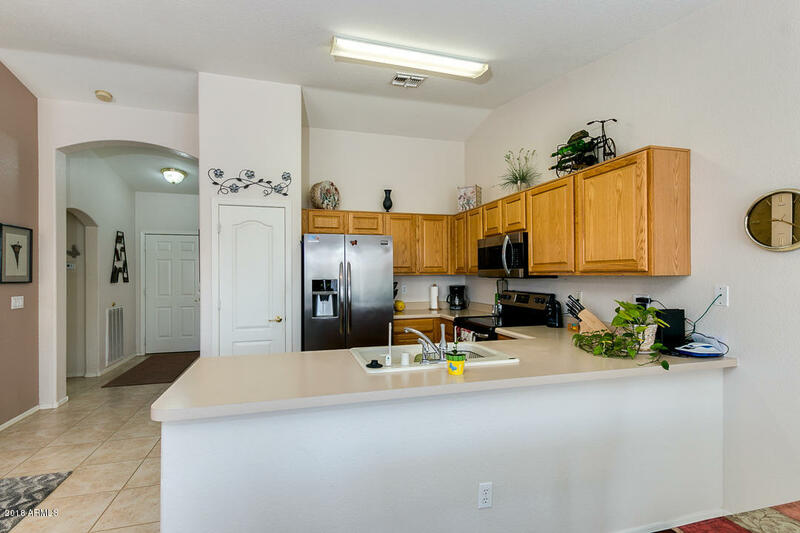 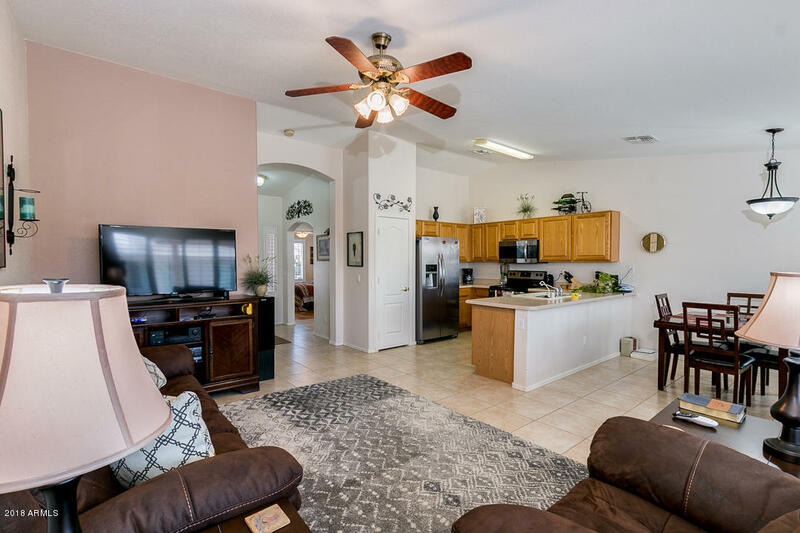 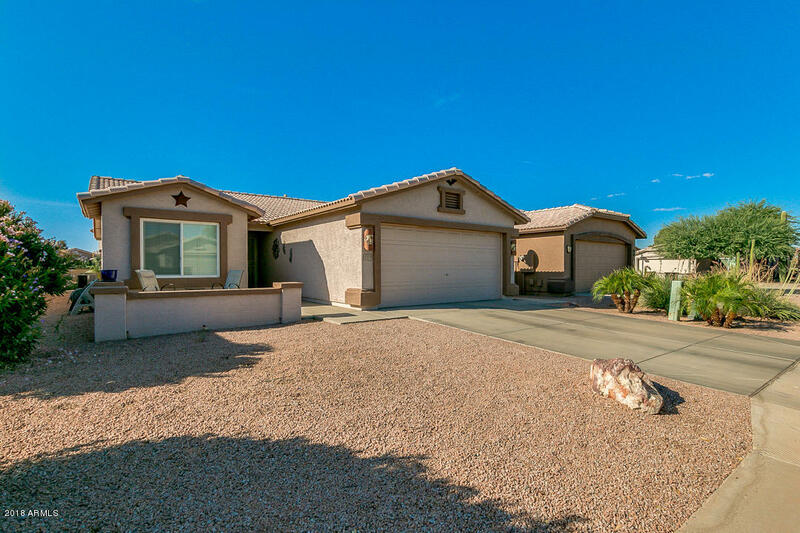 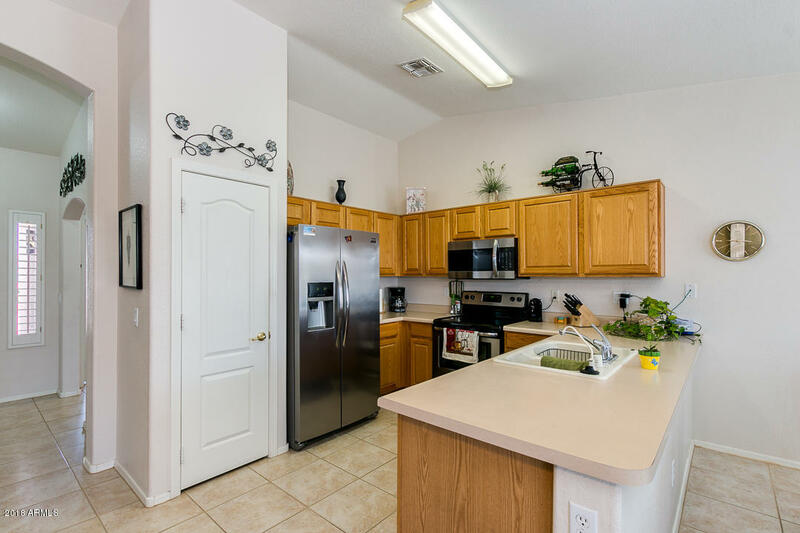 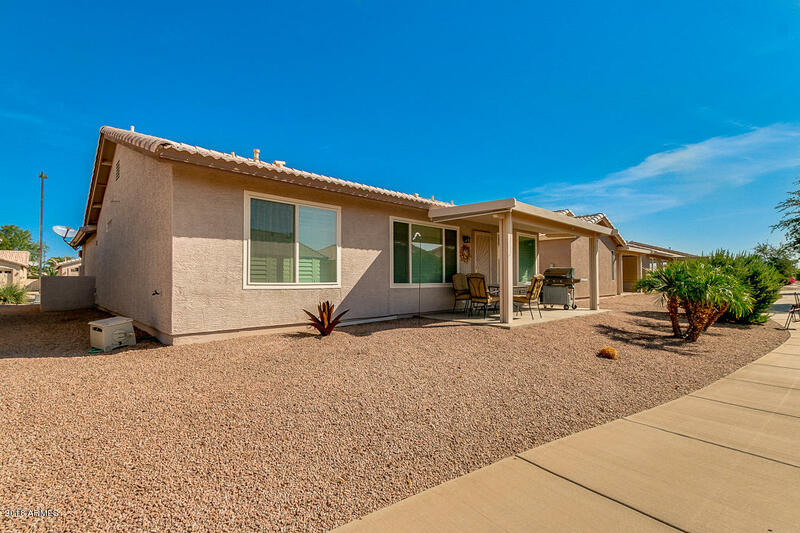 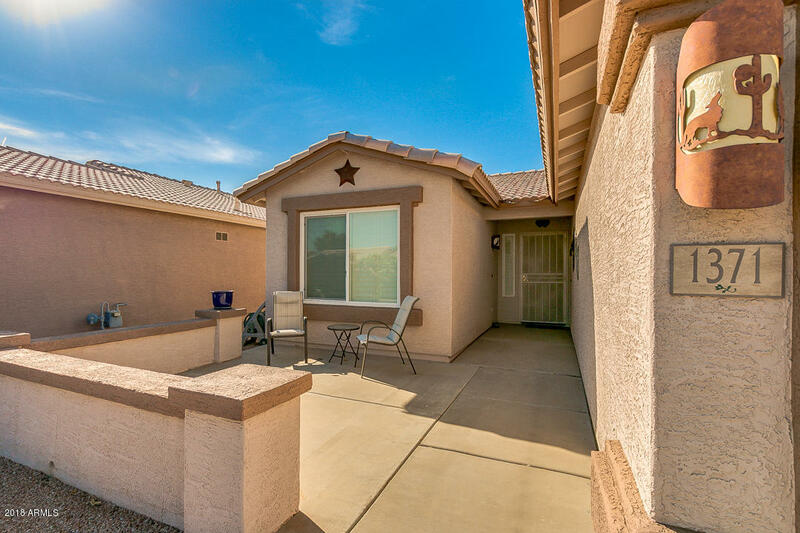 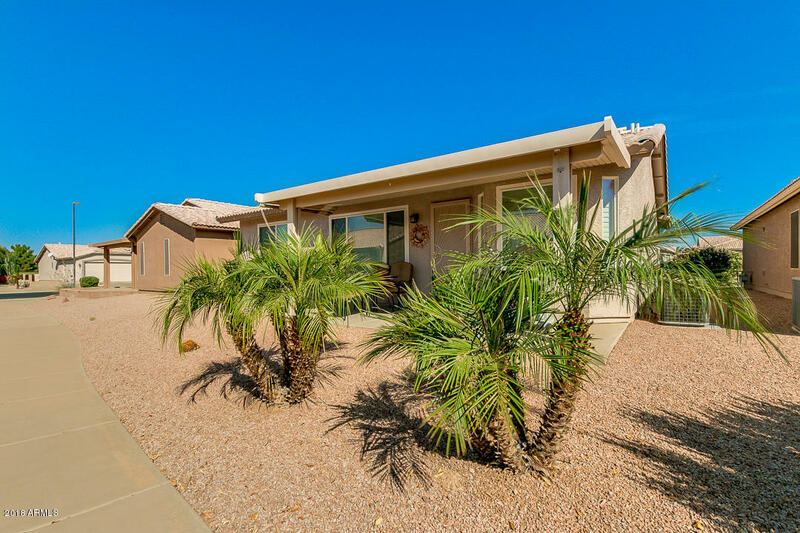 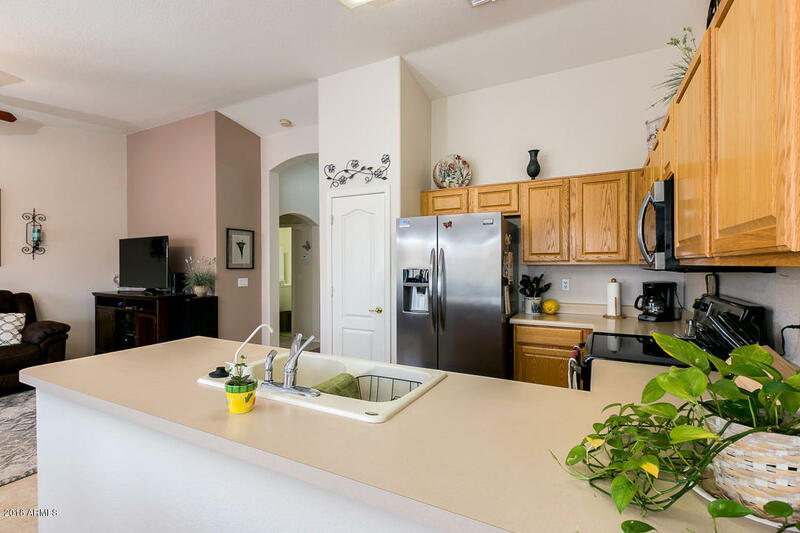 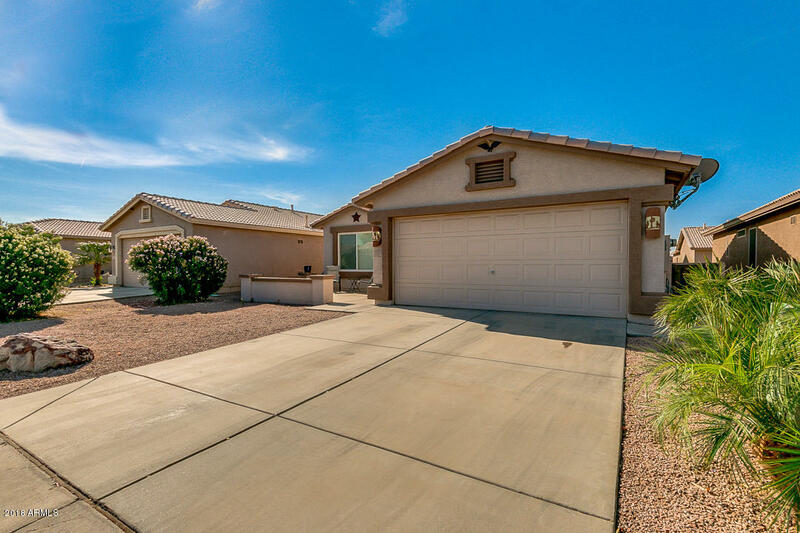 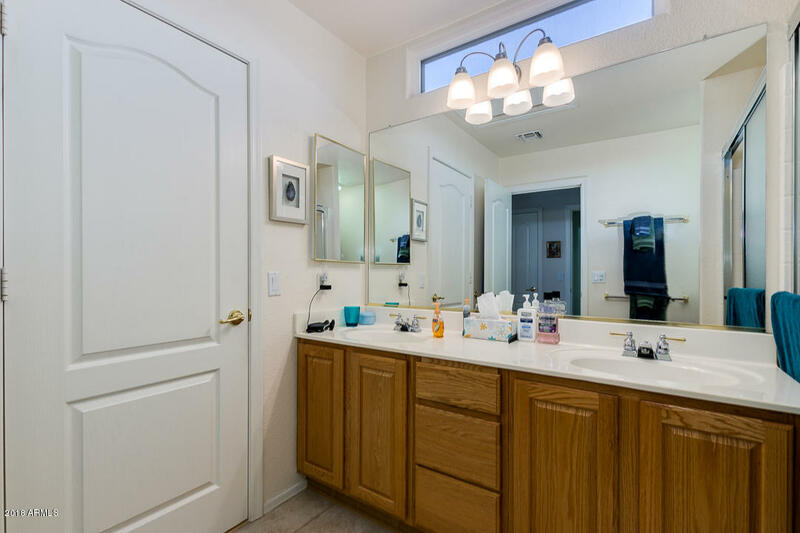 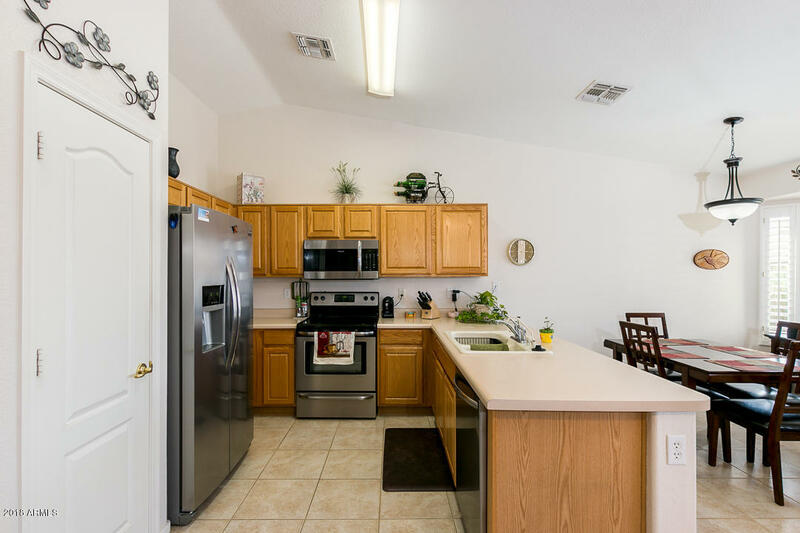 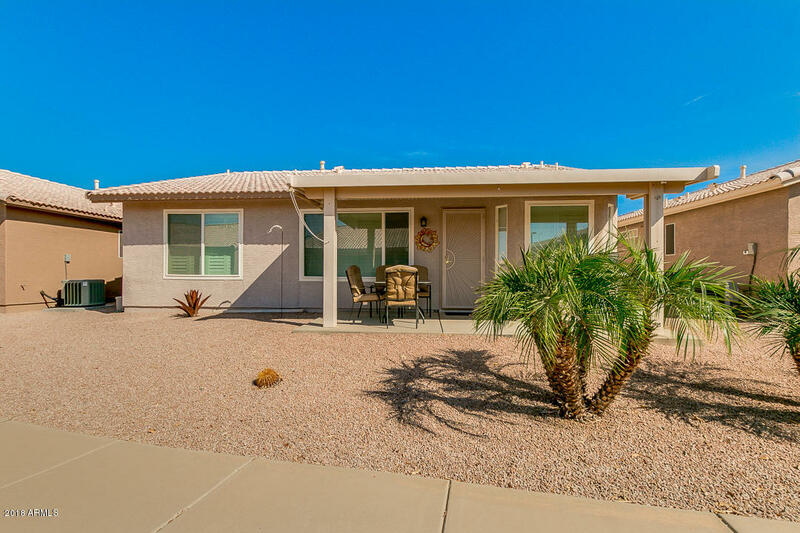 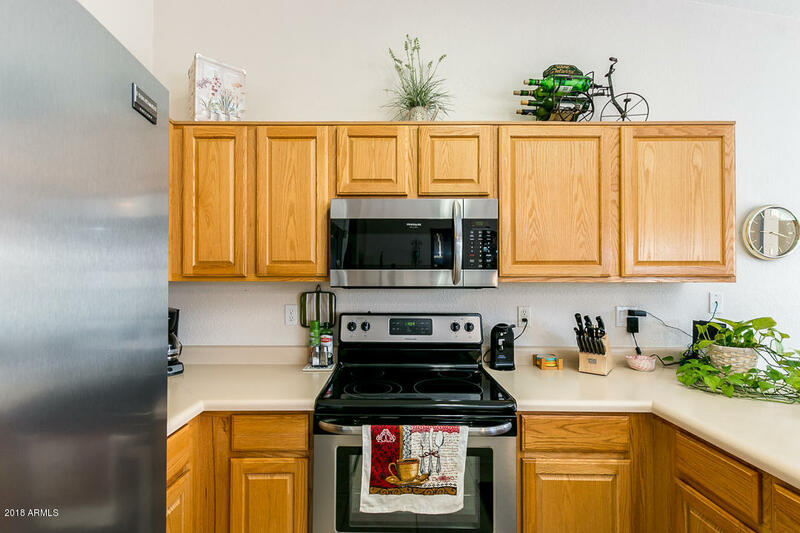 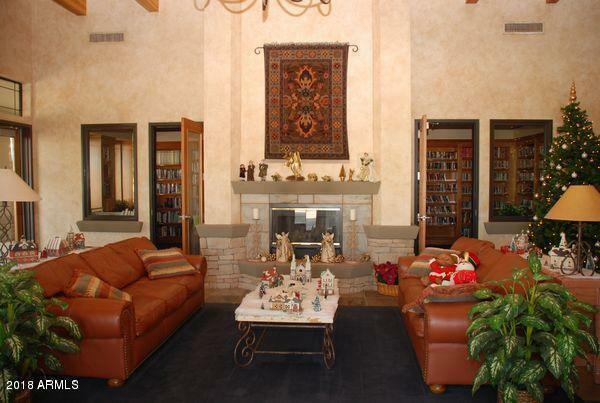 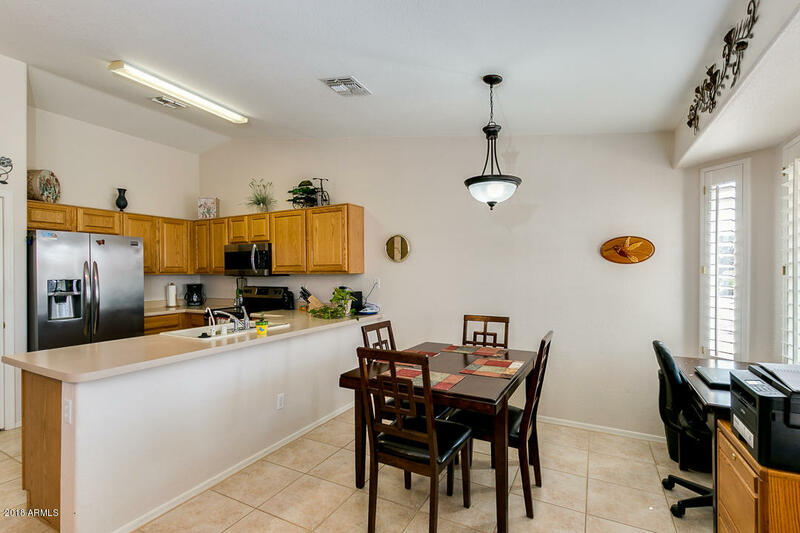 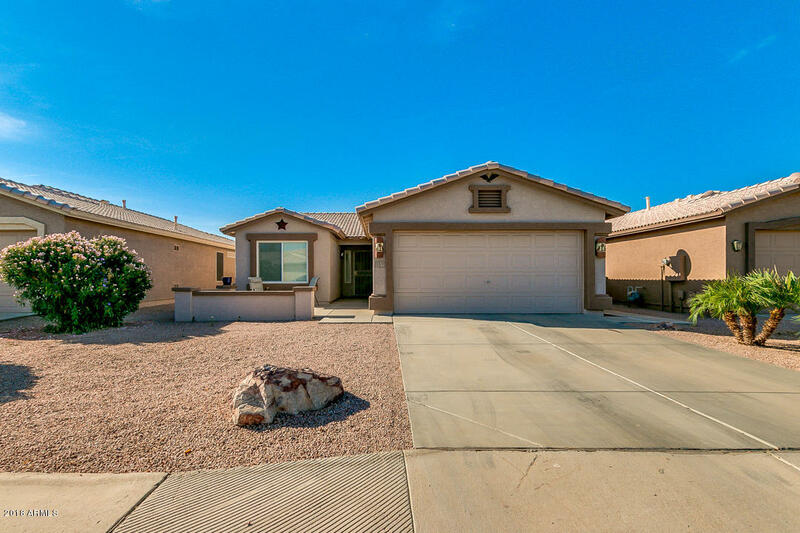 Open floor plan with vaulted ceilings & a spacious kitchen overlooking the family room. 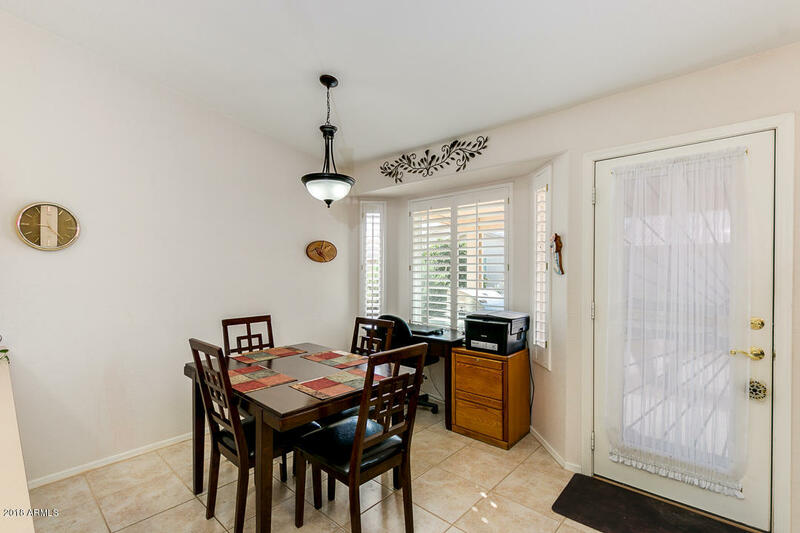 Large dining area with a bay window looking out to the back yard & common area sidewalk.Upgraded with tile & wood floors throughout & beautiful wood shutters. 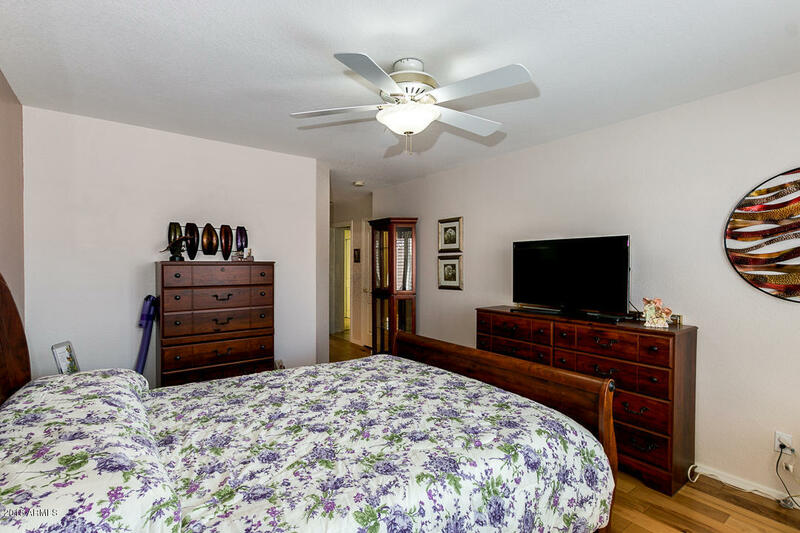 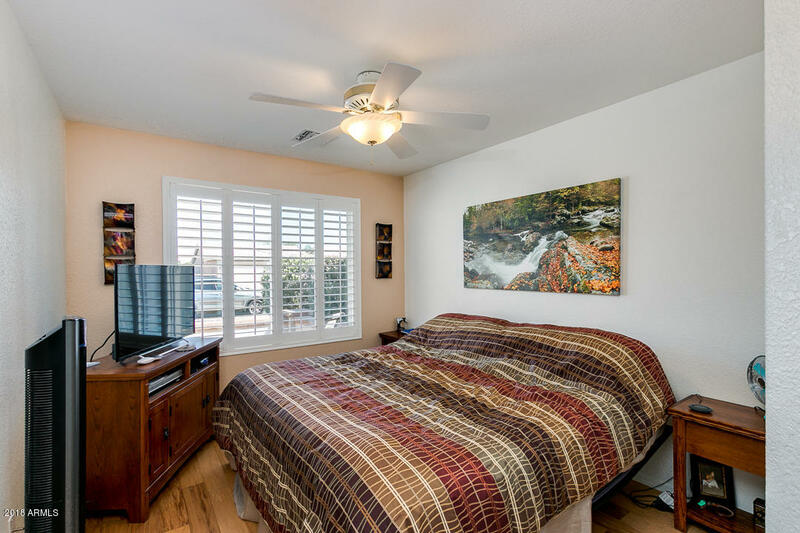 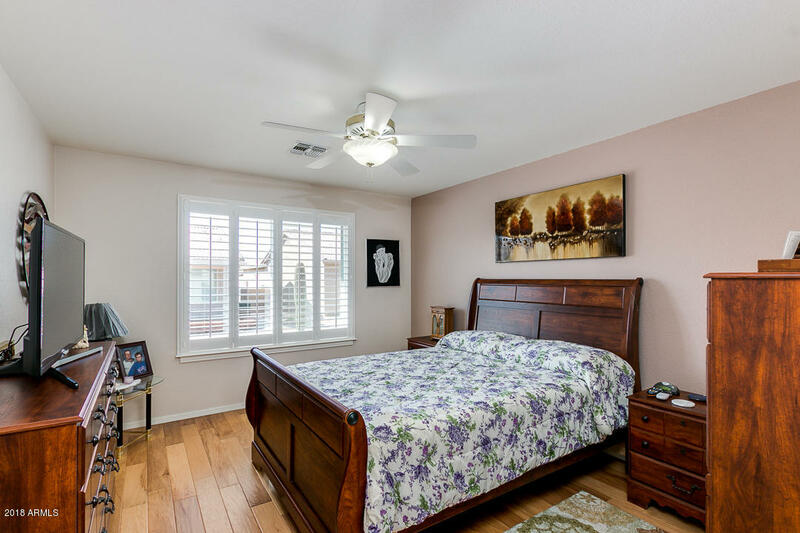 Master bedroom suite with large walk-in closet and double sinks. 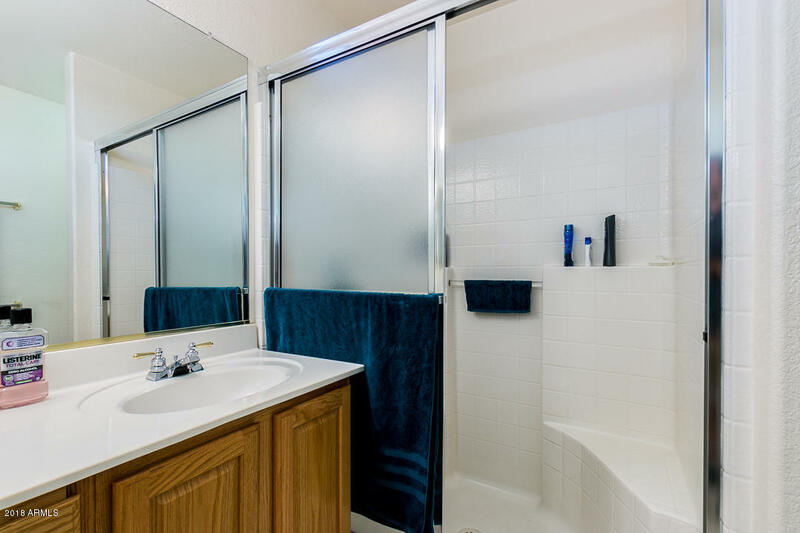 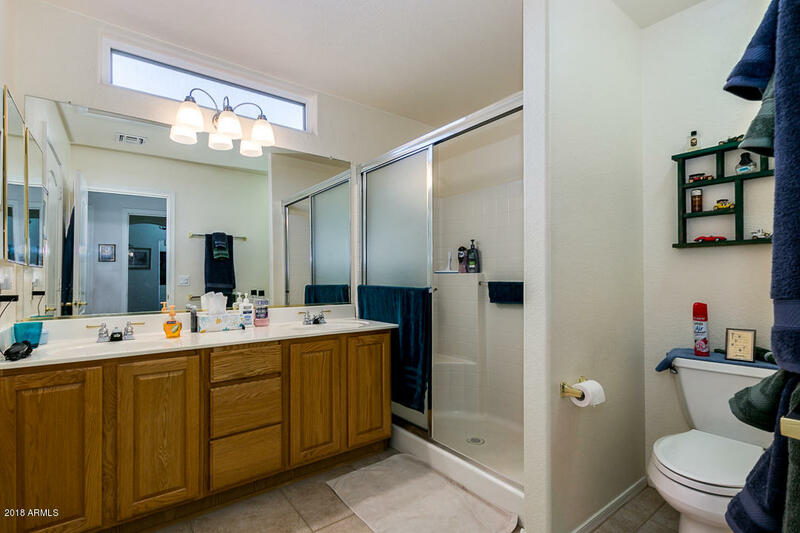 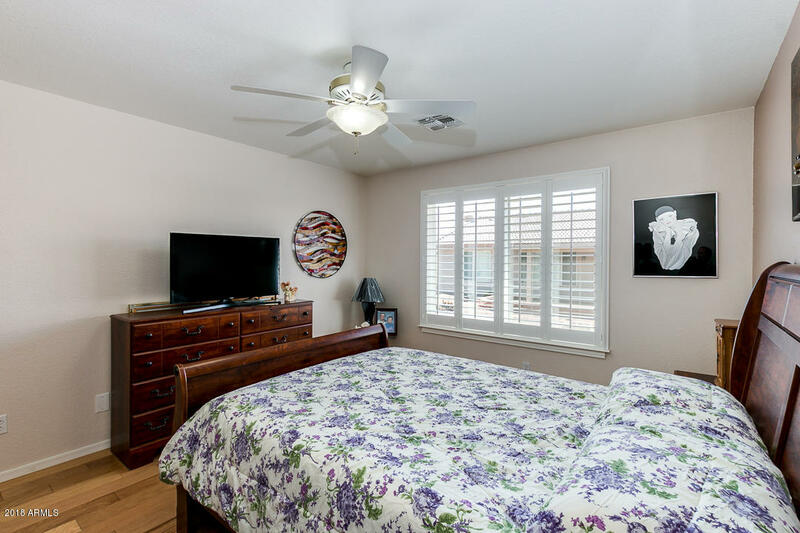 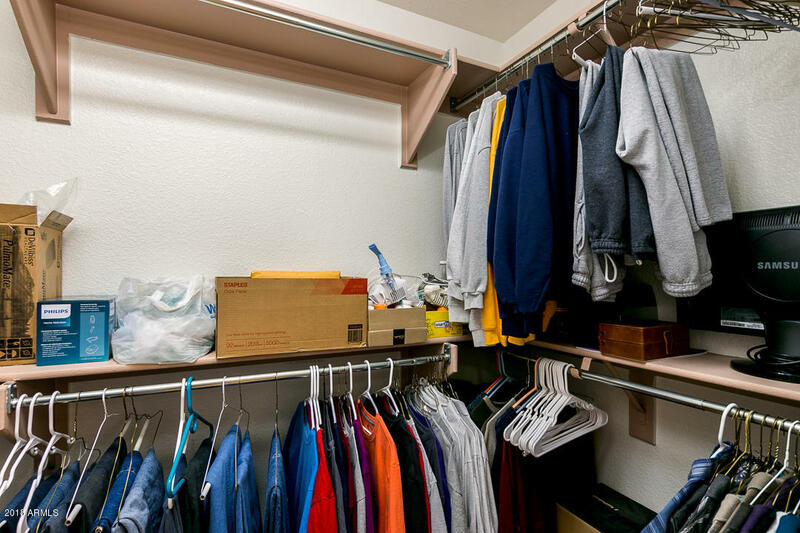 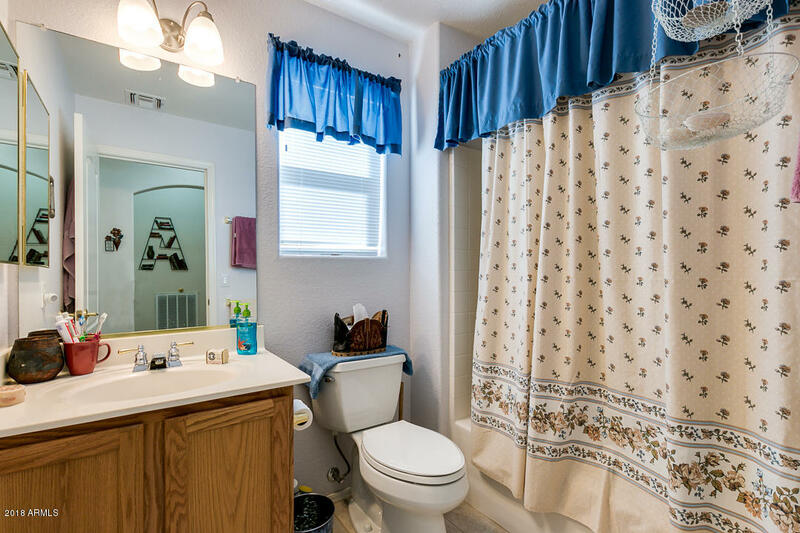 Second bedroom and bath are split making it perfect for visiting guests. 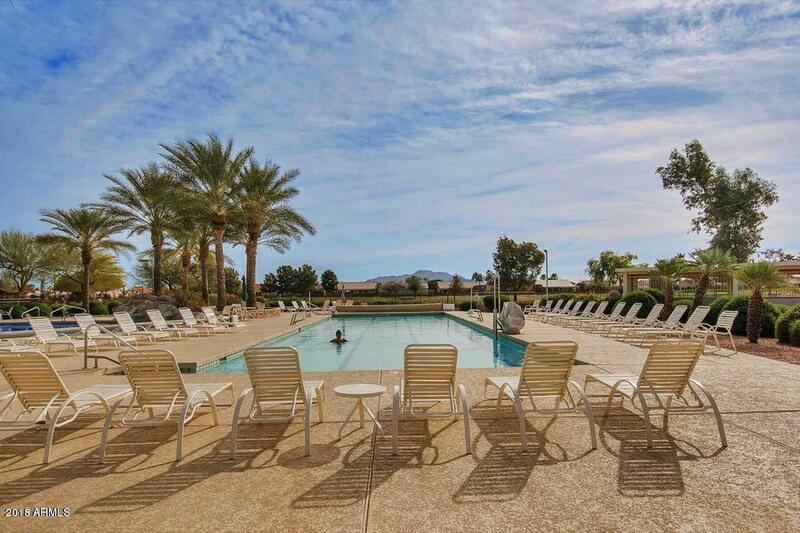 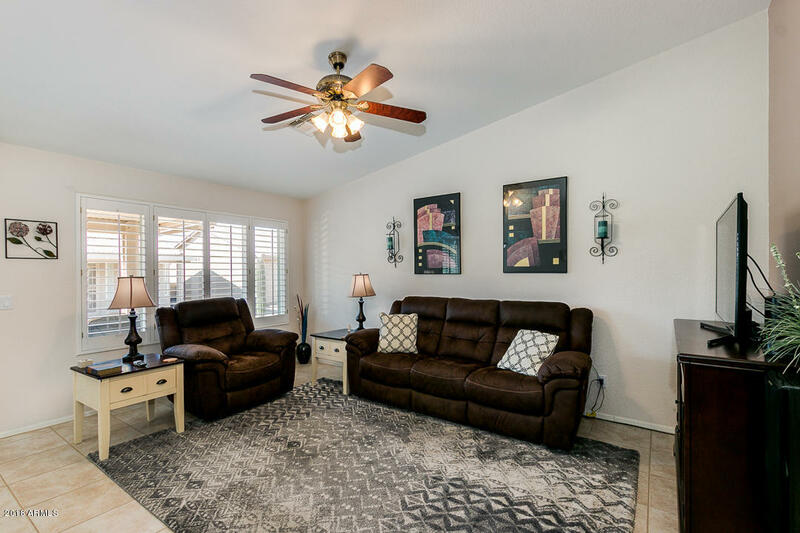 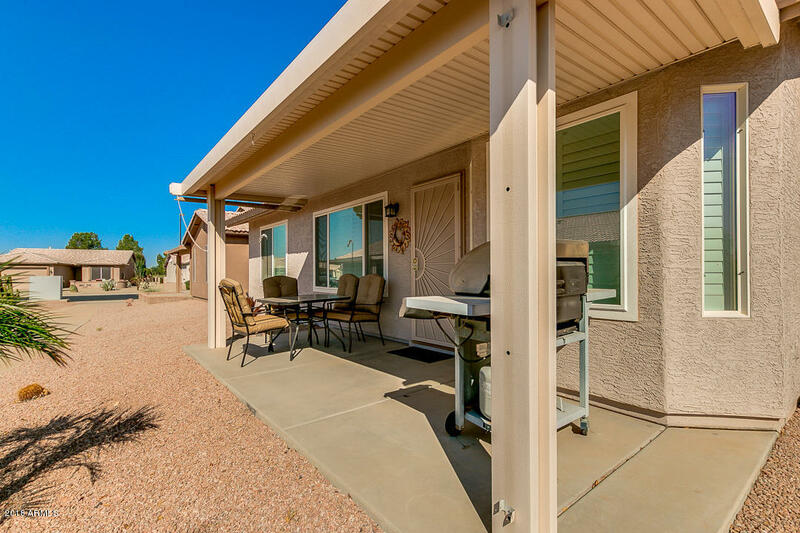 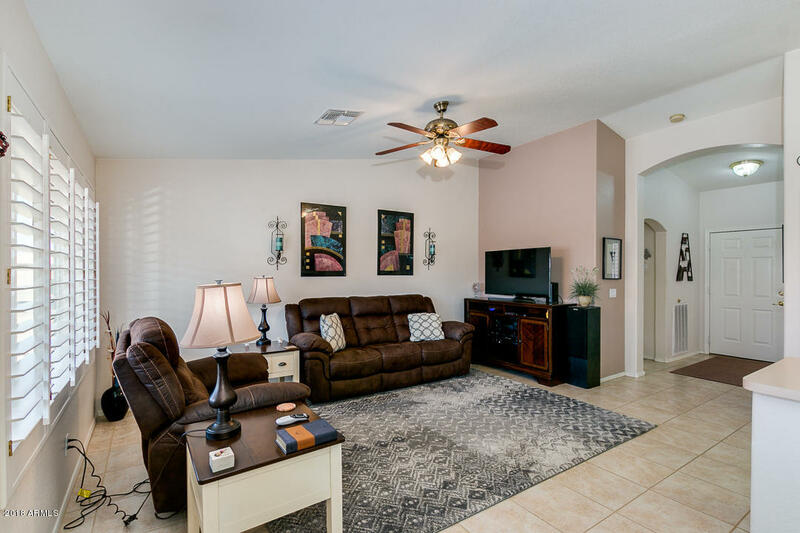 Meet the neighbors while you relax on your covered back patio or your front patio. 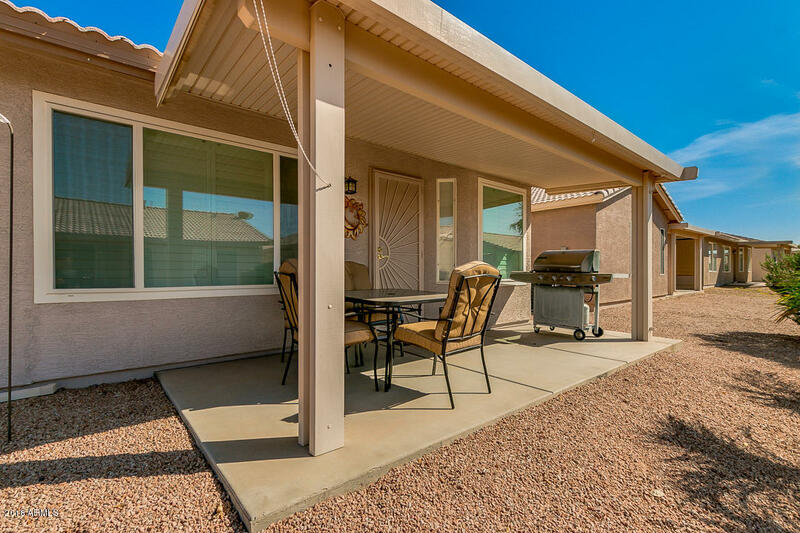 Security screen doors on front and back door to enjoy the beautiful AZ weather. 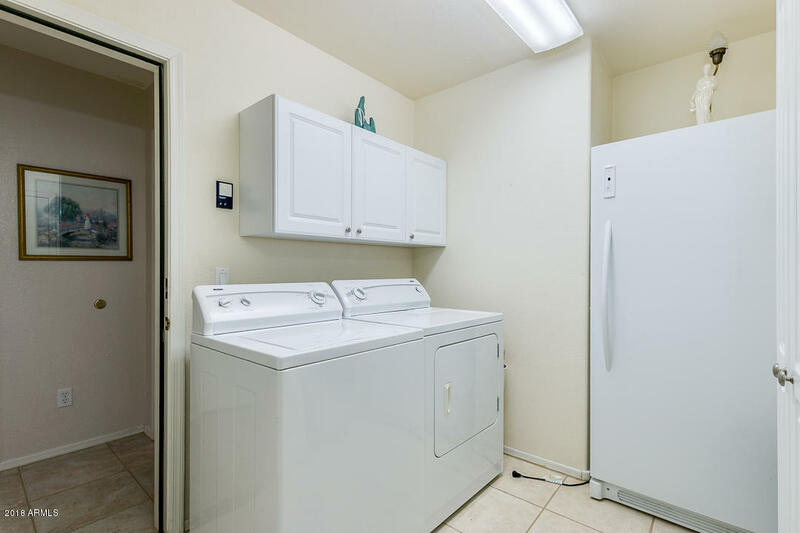 Water heater & AC recently replaced. 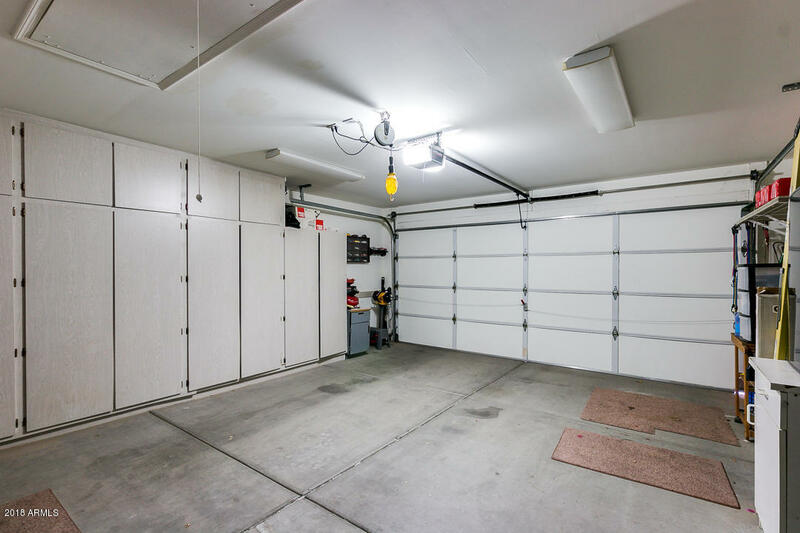 Lots of built in garage cabinets. 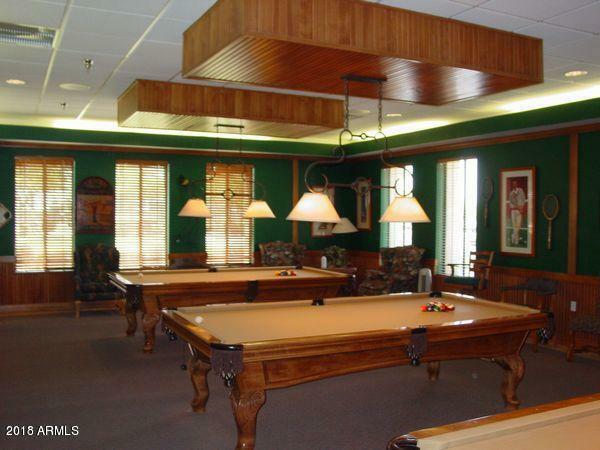 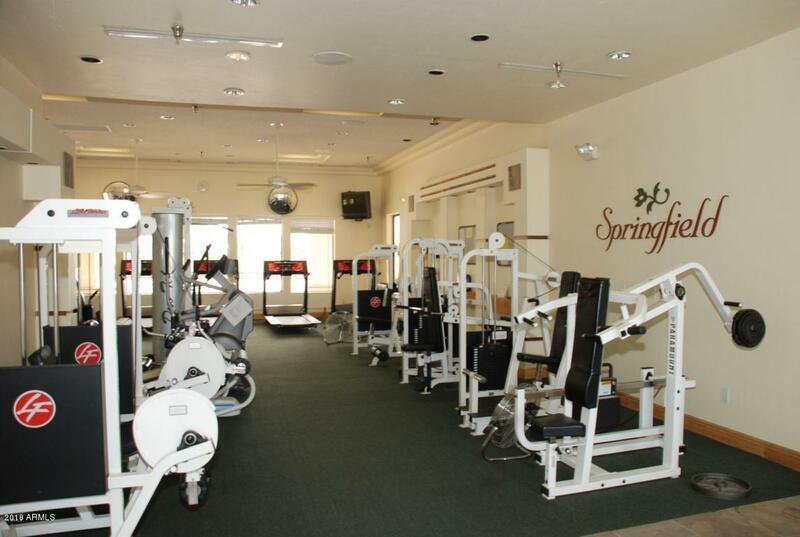 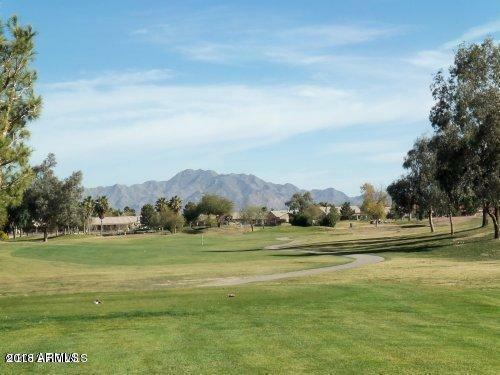 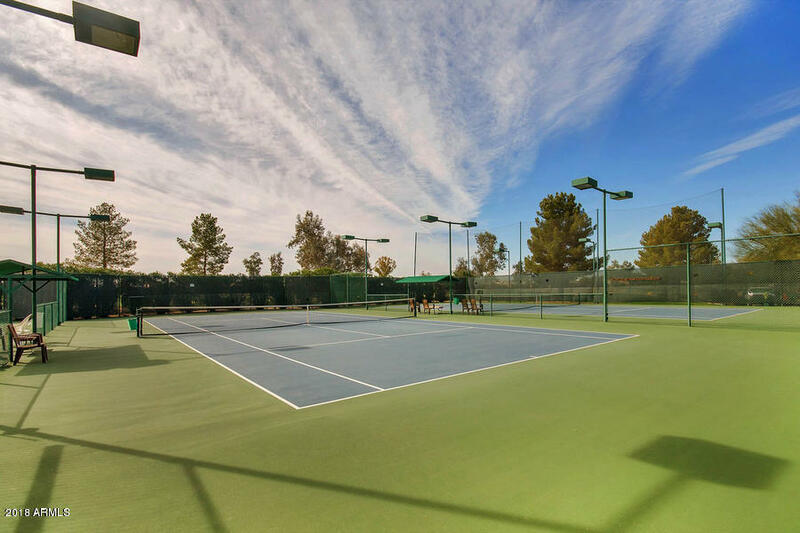 Located in the gated Springfield Community with 2 pools, spa, golf course, tennis, pickle ball, gym, bar/grill & tons of activities.